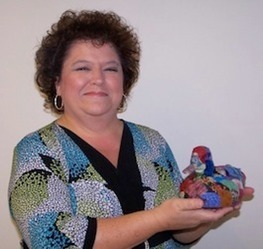 Artist Statement: I primarily work on on art quilts and soft art dolls. I love to add heat-distressed fabric to create a dimensional feeling to my work. I'm known as the "Goddess of Flame"! 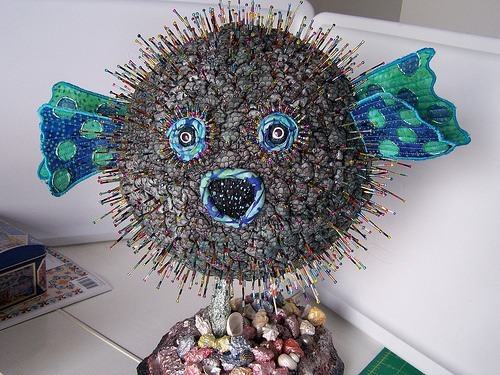 Exhibits: Alejandro the Beaded Blowfish exhibited at the 2011 International Quilt Festival in Houston as a member of the "In Celebration of the Doll" exhibit.